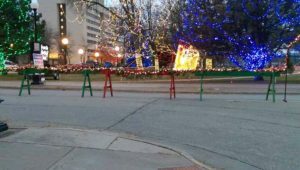 In 2016 the Rotary Lights approached the La Crosse Area Builders Association once again for a project. Rotary Lights and LABA partnership has been a strong bond to the community and LABA has been proud to be a part of this program. So once again our members rolled up their selves and got to work. 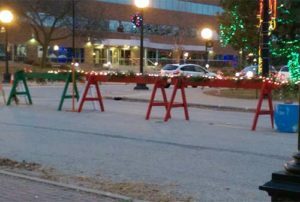 The red and green barricades where used for many things included in the park, blocking off streets and keeping people save. Special thanks goes to the LABA Young Professionals who took this project on!